New Inn Lane Holiday Cottages Self-cateringA warm welcome awaits you at our newly converted holiday cottages on the Warwickshire / Worcestershire border. Ideally situated for Stratford-upon-Avon, Cotswolds and surrounding areas. Warwick, Leaminton Spa, Stoneleigh Cheltenham: 30 minutes away. NEC, NIA, Birmingham, Solihull: 40 minutes away. Excellent road and rail links. 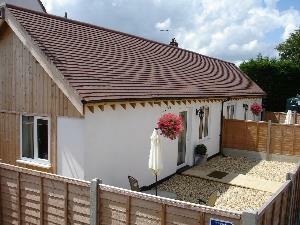 The cottages are situated on a working nursery in a peaceful country lane, rural location. 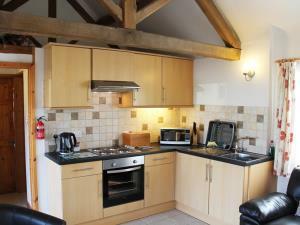 Short breaks are available, minimum 3 night stay. 28'' SMART TV Children welcome from any age. 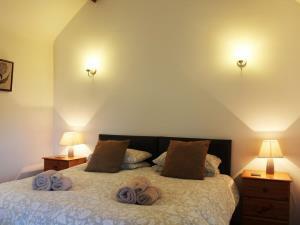 New Inn Lane Holiday Cottages offers weekly bookings starting on any day and sometimes short breaks. The Workshop and the Pumphouse rented together to make one large unit. Both offers weekly bookings starting on any day and sometimes short breaks. One bedroom, superking bed or 2 single beds. The Pumphouse offers weekly bookings starting on any day and sometimes short breaks. The Workshop offers weekly bookings starting on any day and sometimes short breaks. Located on B4088 midway between Evesham and Alcester. Either side of us is the Hamlet of Pitchill and the village Harvington. Delivered everything we were looking for. Thank you for your review,we are pleased you ejoyed stay and look forward to welcoming you back again soon.